I just read this article and thought you might want to give it a read, too. 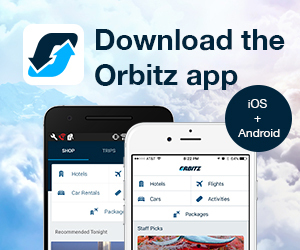 It\'s called 5 unforgettable things to do with your dad on Father’s Day and you can find it here https://www.orbitz.com/blog/2017/05/5-unforgettable-things-to-do-with-your-dad-on-fathers-day/. Forget about giving Dad a tie for Father’s Day. Why not surprise him with a thrilling activity that you can experience together? 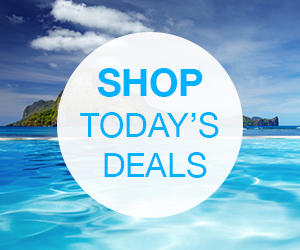 He’ll be impressed you went above and beyond to make the day extra special and it’s a gift he’ll remember forever. Here are five Father’s Day-inspired adventures that are sure to bring a smile to both your faces. RELATED: 6 totally fun things to do with your mom on Mother’s Day, or any day! Barnsley Resort in Adairsville (60 miles north of Atlanta) is a sprawling lakeside estate offering fun and relaxation in a variety of ways including the popular Southeast activity of clay shooting. The SpringBank Sporting Club, located at Barnsley Resort, offers a 26-station clay course for those looking for a diverse layout of shots and a five-station course for first-timers. Never shot a gun before? The experts at the on-property Caesar Guerini Wings & Clay School can show you the ropes. To wind down the day by treating dad to a glass of Barnsley’s own brand of bourbon. For a unique adventure, take Dad to Rio Secreto, an underground cave in Cancun. During this guided tour, guests will wear wetsuits as they navigate through a luminous green river flowing through the cave, be awed by the geological formations and learn the history of the area. For an extended tour, treat Dad to a guided excursion of Tulum’s Mayan archaeological site on the Yucatan Peninsula. The ruins are located on the ocean, so be sure to take a dip in the warm Caribbean Sea before departing. For area accommodations, check out Dreams Tulum Resort & Spa. This all-inclusive beachfront resort is the perfect place to relax after touring the area. Lounge by the pool, unwind with a massage at the spa, or dine on Mexican, Asian, Italian, French or Peruvian cuisine. For a nautical-themed getaway, book a room at The Perry Hotel Key West. This new waterfront hotel, located at Stock Island Marina Village, is the perfect launching point to explore the Keys via yacht, sailboat, kayak or fishing boat. Imagine Dad’s face as you climb aboard a sleek sailing yacht and cruise the expansive ocean or maybe even take a turn driving at the helm. The sunny skies, clear blue sea, smell of the salty ocean, and picturesque island views will make lasting memories. Back at the hotel, dig into freshly caught stone crab served in a metal tackle box or Key West pink shrimp with a vodka cocktail sauce. 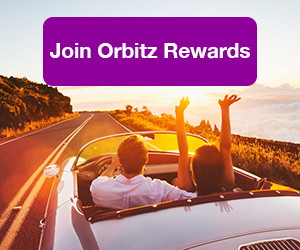 ALSO: Treat pops to that nicer room—Orbitz Rewards makes it easy! Nothing says Father’s Day like throwing hatchets at pine bull’s-eyes! At Axe Monkeys, the largest axe-throwing range in North America, you and your Dad can feel like burly woodsmen. This indoor axe throwing facility in Las Vegas features 20 lanes and 47 targets. The staff will even train you on how to do some trick shots. Round out the weekend with an overnight stay at the Stratosphere Hotel where you can take on the additional adrenaline-charged challenge of jumping off the 829-foot tower or just take in the views from the 25th floor rooftop pool or 1,149-foot, 360-degree view observation deck. If that’s not enough, you can always try your luck at the slot machines or tables. Fraser River Lodge is a riverfront wilderness resort offering guests the chance to heli-fish for salmon or trout. Situated on 18 acres, the rustic log cabin lodge boasts spectacular views of majestic 7,000-ft Mt.Cheam. Your dad will love catching the “big one” on this guided heli-fishing trip that takes guests to the most lucrative fishing spots within a 4,000-square-mile radius. Along the way, guests get Instagram-worthy views of glaciers, waterfalls and rugged mountain terrain. A gourmet lunch served riverside is included. Back at the Lodge, invite Dad to play pool, chess, poker, catch the latest game on the large screen TV, or just kick back on your private porch with an ice-cold beer as you take in the view of the roaming buffalo and expansive landscape.